Within in Acctivate, when sending an email, users have the option to determine where the record of the email should be initially attached. 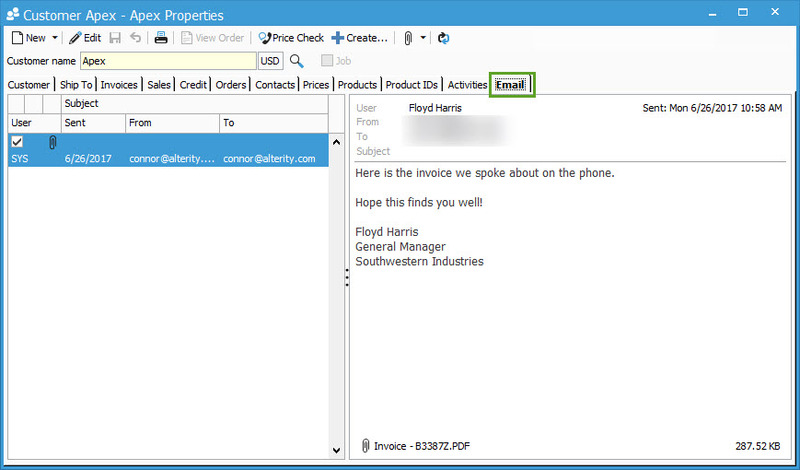 For example, suppose you are emailing an invoice to a customer, and would like the record of that invoice email to show on the email tab of the Acctivate customer or a Business Activity rather than on the sales order’s email tab. In this case, you could utilize the “Move To” function. To show how this works, we’ll walk through the above example. First, let’s open a sales order with an invoice and select to email said invoice. 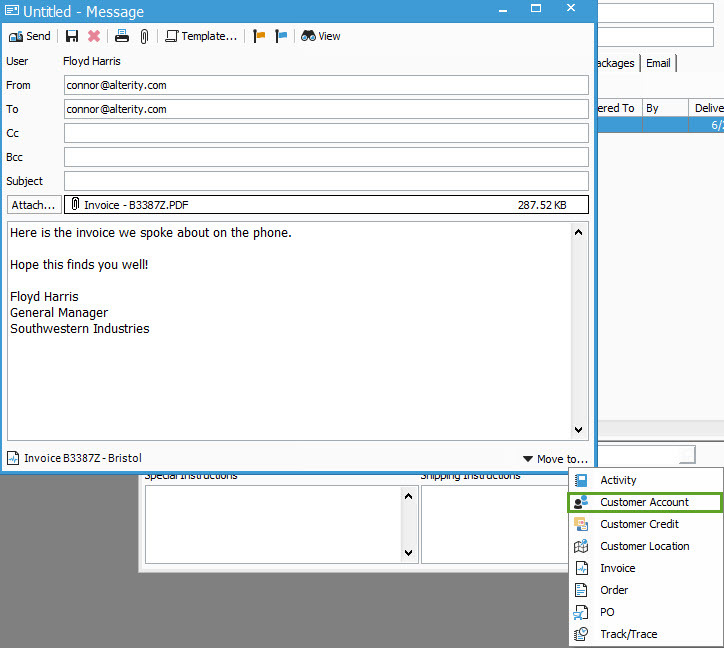 After clicking the email button, the email composition screen opens up as expected. Looking down to the bottom right corner, we can see the “Move to” function. Upon clicking on the “Move to” button, we can see a drop down with options on where to attach a record of this email. For our example here, we’ll select “Customer Account”. 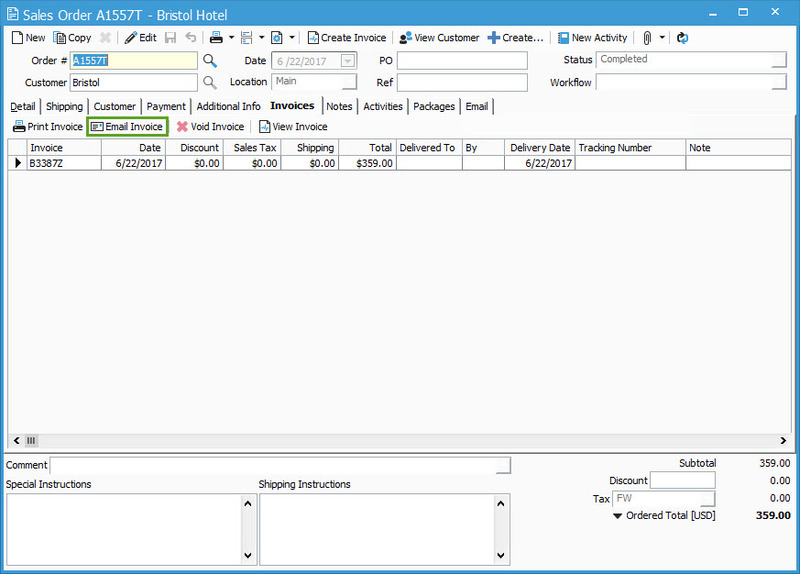 After clicking this option, the customer look up window appears and we can select which customer to attach the record to. In this case, we’ll select “Apex”. 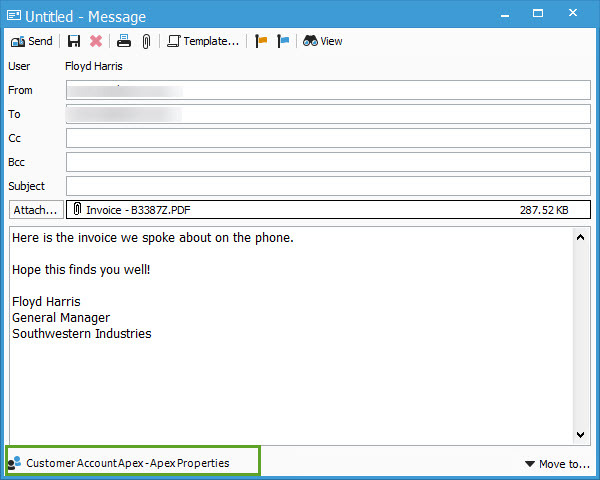 After selecting Apex, we can see the associated document has changed on the email window. 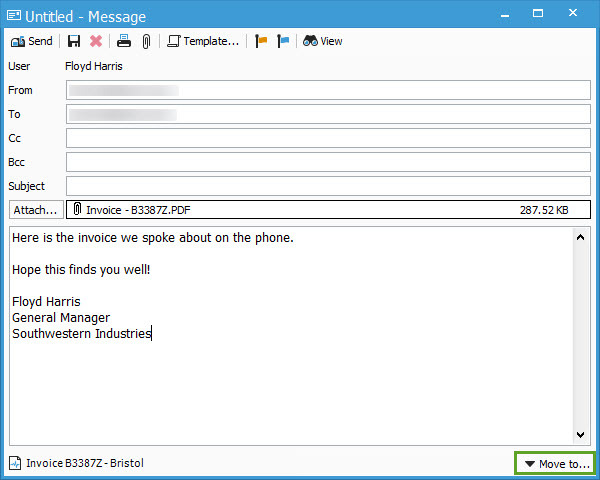 Finally, upon hitting send we can see the email show up in the email tab of the Customer window. 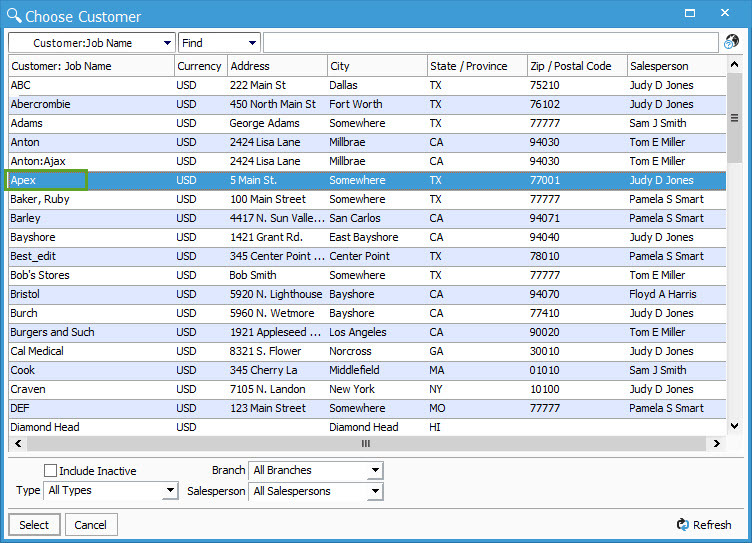 The same principles apply if you select to attach to a business activity or other options from the move to drop down. Once you go to that document, you’ll see the email record on the email tab. If you have any questions or need assistance with using this feature or other features within Acctivate, please contact us at Acctivate Support for help!